Nine hours after their day officially began, Bradley tennis could finally catch its breath. 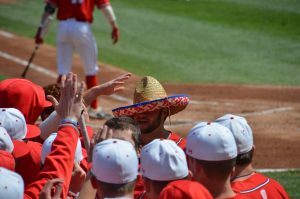 For the only time this season, the team played a double-header last Saturday, coming away with two wins. At 9 a.m., the Braves welcomed Omaha to The Clubs at River City in Peoria. Bradley took the doubles point, winning the first two matches. Sophomore Sandra Maletin and junior Natalia Barbery won their match 6-1, while senior Malini Wijesinghe and freshman Bozana Lojpur topped their opponent 6-3. 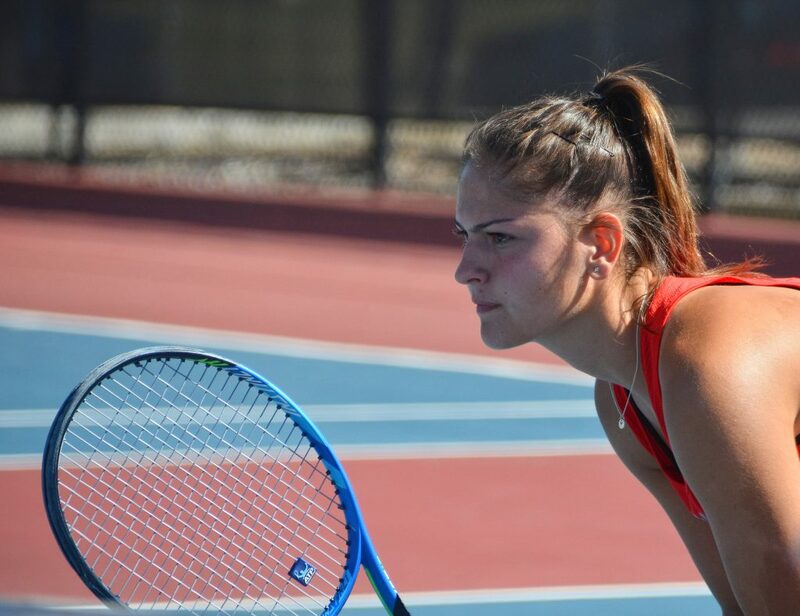 Freshman Nikki Perlwitz and sophomore Nina Marjanovic competed together in the final match that was called with a score of 5-5 as Bradley already captured the doubles point. The Braves captured its first five singles matches, only to have their sweep spoiled when Lojpur lost in a back and forth three-set battle. It was enough, however, as the Braves beat Omaha for their first win of the season. After a quick lunch break and reset, Eastern Illinois University took its shot at the Braves at 2 p.m. Prior to Saturday, the Braves had not beaten the Panthers since March 29, 2000. This time, the Braves lost the doubles point. The tandem of Wijesinghe and Lojpur won 6-4, while Perlwitz and Marjanovic lost 6-4. 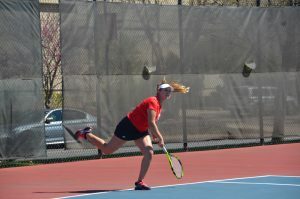 The top duo of Maletin and Barbery were unable to clinch for the Braves, as Eastern won the match and the doubles point. Bradley was able to win all but one singles match once again. Maletin and Wijesinghe cruised to convincing straight set wins. Lojpur, Barbery and Perlwitz all fought for three set wins, with Marjanovic recording the only Bradley loss. 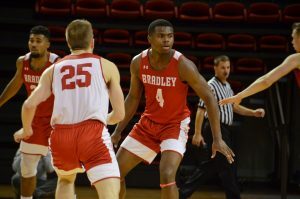 Bradley improved to 3-1 for the season. Head coach Matt Tyler was especially pleased with the performance of his team after a long day. When asked about any stand out effort from his team, he immediately mentioned Lojpur. Wijesinghe, the team’s lone senior, spoke about her confidence in the team going forward. The Braves will play today against Northern Illinois and tomorrow against North Dakota at Boylan Catholic High School in Rockford. First serve is noon for both matches. They return to Clubs at River City next Friday night for a matchup with UIC.